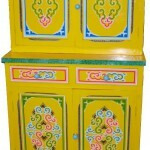 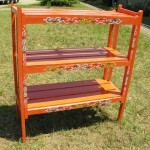 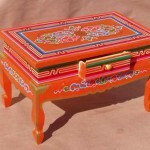 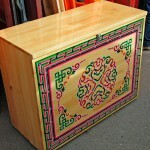 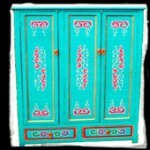 We offer authentic traditional Mongolian furniture, made by experienced carpenters with wood and painted with traditional symbols and ornamentation. 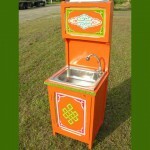 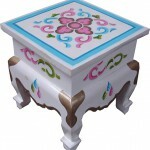 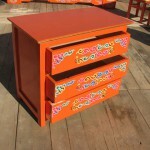 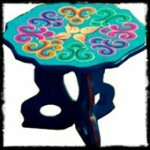 They are practical and very artistic, you can choose the color of the base. 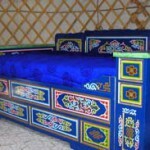 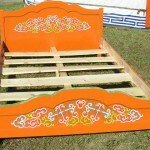 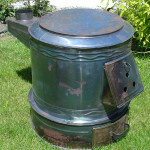 They are ideal for use in the Yurt or at any room.